Most fashion problems can be solved with a belt. Too blah? 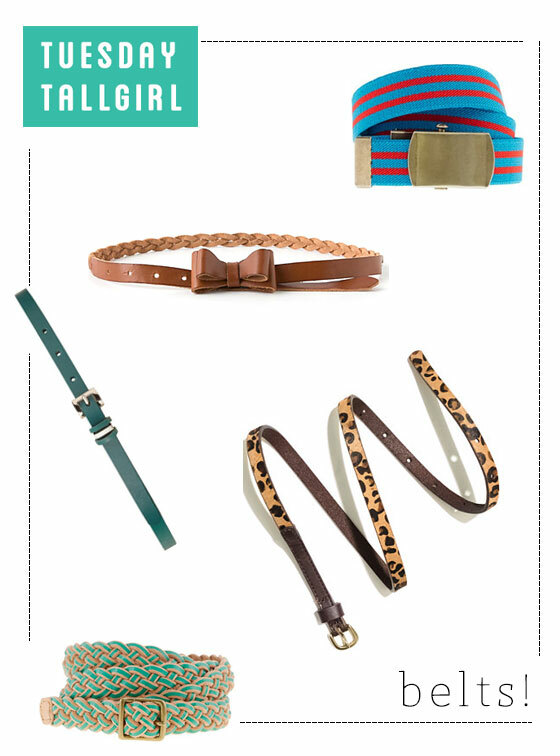 Add a leopard skin belt. Too bulky? Add some definition with a fitted belt around your waist. It's also a tall girl's best friend because it helps keep things proportional. Oh belts, glorious belts! P.S. This Tuesday tall girl was inspired by Torie, my fashionable coworker! (Thank you, Torie!) If you have a Tuesday Tallgirl idea, let me know! Hey Sarah! Glad you asked. I'd like a blog post about the differences between Seattle and Portland, specifically regarding: fabric shops, sewing groups and classes, and fashion. Good idea! And you've got it! I have a few stores to check out. I'm also thinking about starting a Sew Club. When you are back in the States you should come up! K, count me in for possible June 2013 attendance. Oh - I'm also interested in your Seattle commute. What's it look like and what sort of fashion does it require? I have such an easy commute... I moved to the neighborhood where my office is, so we don't have to worry about the traffic. And (knock on wood) we haven't had any rain. I think a cute new umbrella and maybe some boots may be in my future though.